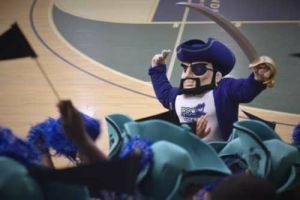 Hoop season is just around the corner and the Pensacola State College Pirates have scheduled a series of scrimmages for fans to get an early look at the teams. Saturday, Oct. 15, the Pirates participate in the Gulf Coast Jamboree at Gulf Coast State College in Panama City. Game times are 2 p.m., 5 p.m. and 8 p.m. General admission tickets are $5 and free for fans 5 years old and younger. Thursday, Oct. 20, the Pirates return home to play the Mississippi Gulf Coast Bulldogs at 3:30 p.m. in Hartsell Arena, Building 3, on the Pensacola campus. Sunday, Oct. 30, Pensacola State and the University of West Florida Argonauts meet at 2 p.m. in Hartsell Arena. Saturday, Oct. 22, the Lady Pirates will host Concordia University of Selma, Alabama, and Pearl River Community College of Poplarville, Mississippi, in scrimmage games. The Lady Pirates will play at 11 a.m. and noon in Hartsell Arena. Admission to the scrimmage games is $2 for faculty and staff, and free for students with ID and booster club members.